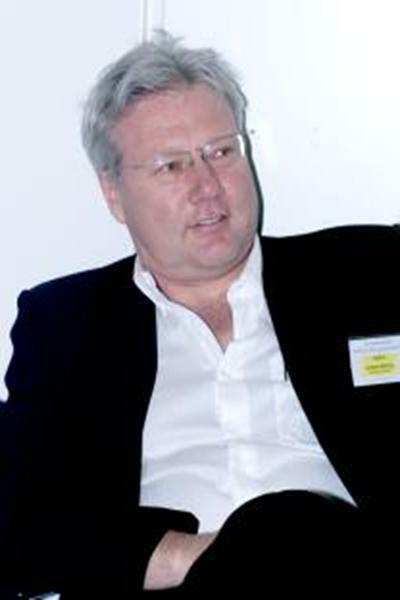 Professor Dankmar Böhning is the Director of the S3RI within Mathematical Sciences at the University of Southampton. Studied Mathematics and Social Sciences at the University of Bielefeld and the Free University, Berlin. Worked as Assistant Professor in Social Science Statistics at the Free University and became extra-ordinary Professor for Biometry and Epidemiology at the Charité Medical School Berlin since 2000. Was Professor for Applied Statistics at the University of Reading from 2005 to 2011 when he moved to Southampton. Had visiting positions in Department of Statistics at Pennsylvania State University, Institute of Statistics at the LMU in Munich, the Institute for Psychology at the University of Vienna and the Mahidol University in Bangkok. Bohning, D., & Van Der Heijden, P. (Accepted/In press). The equivalence of the zero-truncated, one-inflated likelihood and the zero-one-truncated likelihood for general count densities with an application to drink-driving in Britain. The Annals of Applied Statistics. Sangnawakij, P., Böhning, D., Adams, S., Stanton, M., & Holling, H. (Accepted/In press). Statistical methodology for estimating the mean difference in a meta-analysis without study-specific variance information. Statistics in Medicine, 1-22. Sonksen, P., Holt, R. I. G., Boehning, W., Guha, N., Cowan, D. A., Bartlett, C., & Bohning, D. (Accepted/In press). Why do endocrine profiles in elite athletes differ between sports? Clinical Diabetes and Endocrinology. Holling, H., Bohning, W., & Bohning, D. (2015). The covariate-adjusted frequency plot for the Rasch Poisson Counts model. Thailand Statistician, 13(1), 67-78. Neema, I., & Böhning, D. (2010). Improved methods for surveying and monitoring crimes through likelihood based cluster analysis. International Journal of Criminology and Sociological Theory, 3(2), 477-495. Bohning, D., Van Der Heijden, P. G. M., & Bunge, J. (2018). Capture-recapture methods for the social and medical sciences. (Interdisciplinary Statistics Series). Boca Raton: Chapman & Hall/CRC. van der Heijden, P. G. M., de Vries, I., Böhning, D., Cruyff, M., & Kangaspunta, K. (Ed.) (2015). Researching hidden populations: approaches to and methodologies for generating data on trafficking in persons. (Forum on Crime and Society; Vol. 8). New York, US: United Nations Office on Drug and Crime. Böhning, D., Kuhnert, R., & Rattanasiri, S. (2008). Meta-analysis of binary data using profile likelihood. (CRC Interdisciplinary Statistics). London, GB: CRC Press/Chapman & Hall. Bohning, D., Bunge, J., & Van Der Heijden, P. (2018). Basic concepts of capture-recapture. In D. Boehning, P. G. M. van der Heijden, & J. Bunge (Eds. ), Capture-Recapture Methods for the Social and Medical Sciences (pp. 3-17). (Interdisciplinary Statistics Series). Boca Raton: Chapman & Hall/CRC. Bohning, D., Bunge, J., & Van Der Heijden, P. G. M. (2018). Uncertainty assessment in capture-recapture studies and the choice of sampling effort. In Capture-Recapture Methods for the Social and Medical Sciences (pp. 389-396). ( Chapman & Hall/CRC Interdisciplinary Statistics). Boca Raton: Chapman & Hall/CRC. van der Heijden, P. G. M., de Vries, L., Böhning, D., & Cruyff, M. (2015). Estimating the size of hard-to-reach populations using capture-recapture methodology, with a discussion of the International Labour Organization’s global estimate of forced labour. In K. Kangaspunta (Ed. ), Forum on Crime and Society, Volume 8. Special Issue: Researching Hidden Populations: Approaches to and Methodologies for Generating Data on Trafficking in Persons (pp. 109-136). New York, US: United Nations. Van der Heijden, P. G. M., Cruyff, M., & Boehning, D. (2014). Capture-recapture to estimate crime populations. In G. J. N. Bruinsma, & D. L. Weisburd (Eds. ), Encyclepedia of Criminology and Criminal Justice (pp. 267-278). Berlin: Springer. Bohning, D., Holling, H., Masoudi, E., & Boehning, W. (2018). Evaluation of a new version of I2 with emphasis on diagnostic problems. Bohning, D., Bohning, W., Guha, N., Cowan, D., Sonksen, P., & Holt, R. (2016). Statistical methodology for age-adjustment of the GH2000 score detecting growth hormone misuse. (S3RI Working Paper Series). Southampton, GB: University of Southampton. Short courses in Medical Statistics at the University of Southampton are offered.